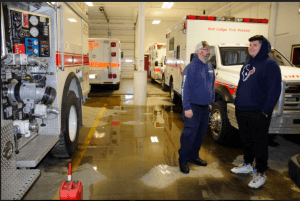 Fifteen Red Lodge High School students were able to explore careers of their interest on January 22nd by participating in Job Shadow Day. 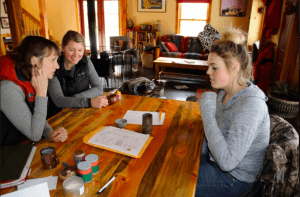 Danielle Schilling, Vista volunteer at the Red Lodge Area Community Foundation, worked with students to determine their career interest and recruited community businesses to serve as job shadow host for these students. 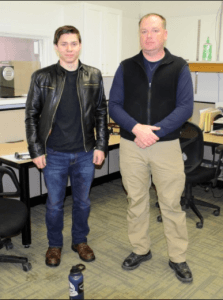 Each students spent 2-3 . hours with their job shadow hosts to learn about their specific career. 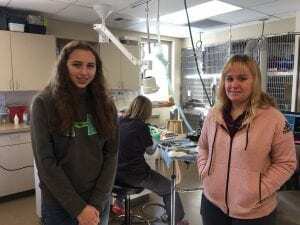 Job Shadow hosts included Beartooth Billings Clinic, Grizzly Peak Veterinary, Red Lodge Fire and Rescue, Headwaters Studio, Carbon County Sheriff’s Department, Haley Demorris, Red Lodge Veterinary Clinic and Brent Moore at Interstate Engineering. Job shadowing provides valuable information about career opportunities in order to help students make better career decisions. It is a program where students meet with professionals who work in the fields that are of interest to them. It is a worksite experience (typically three to six hours) during which a student spends time one-on-one with an employee observing daily activities and asking questions about the job and the workplace. 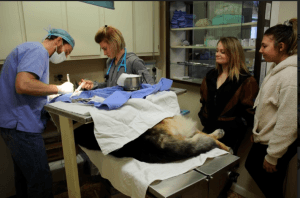 Job shadow experiences have proven to play a significant role in determining the career avenue that the students choose to pursue after high school. Parents and administrators have been impressed with the enthusiasm that the students have exhibited following their mentoring experiences. 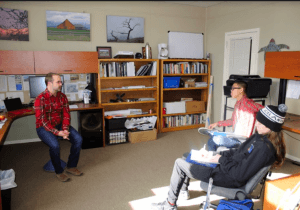 The shadow hosts are happy to be able to lend their expertise for the student’s benefit and show these young adults that successful and happy lives can be built in Montana.